The board and House of Delegates of the Automotive Service Association’s Midwest chapter on Thursday chose to disaffiliate from the national ASA after 38 years and form a new independent trade group called the Midwest Auto Care Alliance. ASA-Midwest was the national organization’s second-largest affiliate and represented mechanical and collision repairers in Arkansas, Iowa, Kansas, Missouri, Nebraska and Oklahoma. The new Midwest Auto Care Alliance will concentrate solely on mechanical service and repair, reflecting the majority of its current membership, according to Executive Director Sheri Hamilton. While auto body shops who wish to join MWACA as members certainly wouldn’t be turned away, ASA National would be a better fit, Hamilton indicated. “That’s why this decision was made,” she said. “That’s part of the reason behind providing member choice,” she said. She said ASA-Midwest currently had 325 members, and while the retention rate couldn’t be known, the only confirmed departure was the collision repairer cited above. Feedback to the change has been positive, and she’s received inquiries from other states’ repairers as well about joining, she said. Leaving the ASA organization removes the six-state territorial restriction the affiliate trade group faced. The split will take effect Sept. 14, according to a FAQ. Repairers will remain dues-paying members of both ASA-Midwest and ASA National through Sept. 13. On the 14th, they’re be free to join either, both or neither of the trade groups. Repairers who don’t re-up with ASA National must cease using the ASA logo after September 2018, according to the FAQ. Pricing for an MWACA membership has not yet been determined, though existing ASA-Midwest repairers will be allowed to renew at their current rate. “We do not anticipate a significant increase in our dues structure,” the ASA-Midwest/MWACA wrote in the FAQ. 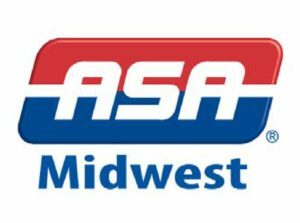 A new ASA-Midwest will continue after midnight Sept. 14 despite the mass defection, according to an ASA National news release Friday. The regional affiliate will cease to serve Arkansas and Oklahoma, and it will charge lower dues, the ASA wrote. As for the issue of national dues, ASA President Risley said they couldn’t be avoided under the ASA’s federated system. “The reduced administrative expense and a shift to a more virtual environment of meetings and member services is one of the many benefits resulting from these changes which will be effective October 1, 2018,” ASA National wrote. The trade group is also searching for a new ASA-Midwest executive director. “The changes will allow us to better serve a broader base of members in these states and hopefully garner an increase in participation as we move to a more virtual means to communicate regularly amongst the board of directors, staff and membership,” ASA President Dan Risley said in a statement. The status quo wasn’t necessarily working for ASA-National either, according to Risley. ASA-Midwest’s overwhelming focus on mechanical repair didn’t match up with the ASA’s roughly 60-40 division of efforts between the mechanical and collision sectors, he said. This dichotomy led to ASA losing members as well in the Midwest area. Risley said he predicted to the ASA board that the split and introduction of the new ASA-Midwest would on the whole at first result in the same number of members as before. The number leaving for the new MWACA would be replaced by an equal amount preferring the ASA’s direction. “This is an evolution for us,” Risley said. He said the ASA was also examining different affiliate formats, such as the new ASA-Massachusetts-Rhode Island chapter’s launch as something other than a traditional nonprofit. Risley said the reduced ASA-Midwest jurisdiction — four states instead of six — would keep the group from being spread too thin. The ASA said shop owners in Oklahoma and Arkansas who wished to help form new affiliates in those states should contact ASA Vice President Tony Molla at tonym@asashop.org. “We recognize the need for a strong state association in these areas and we are committed to making that a reality. State associations are the building blocks and foundation of ASA,” ASA Chairman Roy Schnepper (Butler’s Collision) said in a statement.